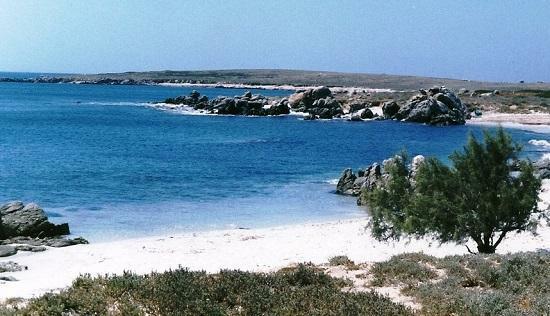 The Oristano province is located on the central-western part of Sardinia. 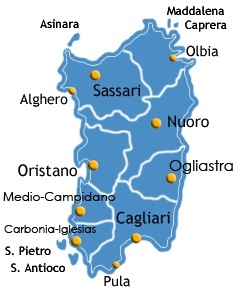 It borders on the Sassari province to the north, the Nuoro province to the east and the provinces of Medio Campidano and Cagliari to the south. The total surface is 3040 square kilometres and includes 88 municipalities. The territory is varied: from the vast Campidano Plain (shared in part with the Medio Campidano, Carbonia-Iglesias and Cagliari provinces) to the Monte Ferru range, whose highest peak (Monte Urtigu) reaches 1000 meters above sea level. Also the Sinis Peninsula is part of the province. 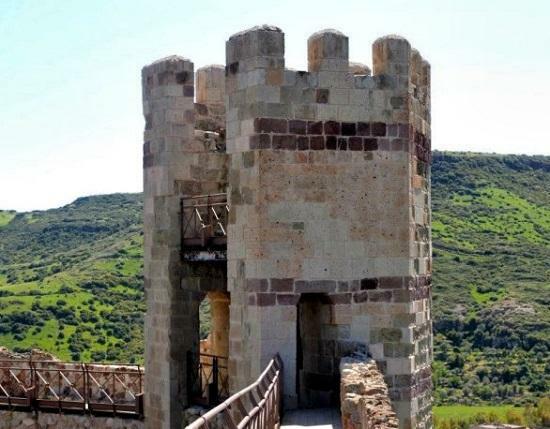 There are over 90 km of coast ranging from sandy beaches to calcareous cliffs, to rocky bluffs. 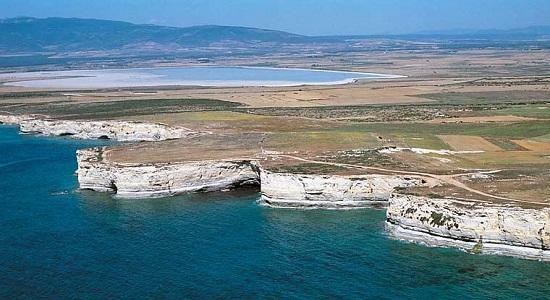 Two rivers cross the province: the Tirso, which opens to the Gulf of Oristano, and the Temo, the only waterway of the island, although not entirely navigable. 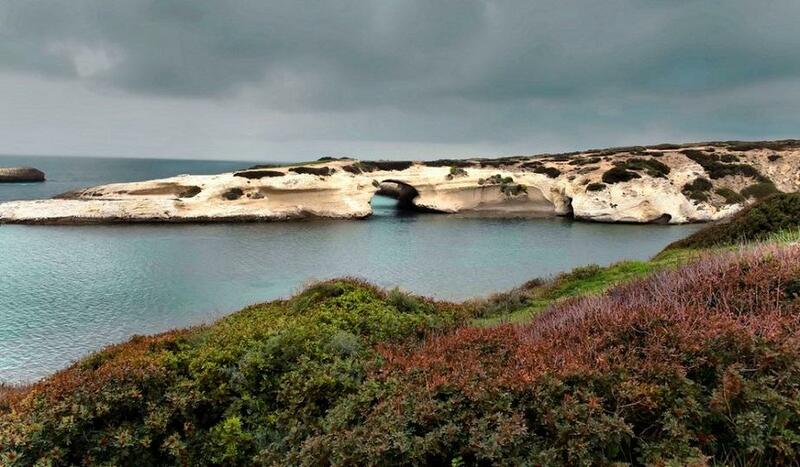 The province comprises many protected areas such as the Monte Arci Regional Park, the Sinis Peninsula – Mal di Ventre Island Marine Protected Area and the S’Archittu a Santa Caterina Natural Monument near Cagliari, the latter being a 15-meter natural arch created by the erosion of the calcareous walls of what once was a sea cave. 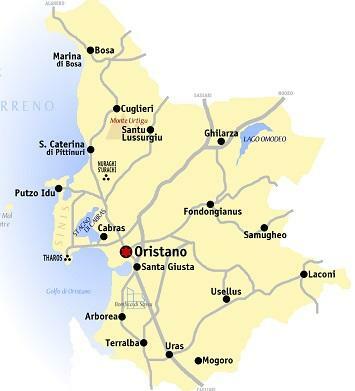 Around Oristano there are over 6000 hectares worth of wetlands. The most famous is the stagno (pond) di Cabras, considered one of the best-preserved wetlands of Europe. Connected to the sea, it is home to several rare aquatic bird species like red-crested pochard, purple heron, purple swamphen and Eurasian coot and fishes such as seabass, eel and mullet (whose eggs are used to make the ‘bottarga’). Remarkable is also the stagno di Mistras, where gulls and flamingos breed, the stagno di Sale Porcus, now a protected area and Is Benas, with its exquisite caniottu (a small seabream). Lastly, the Omodeo Lake, an artificial basin named after the engineer from Milano who designed it in 1918-1924 for purposes of irrigation, production of electricity and mitigation of the floods of the Tirso River. 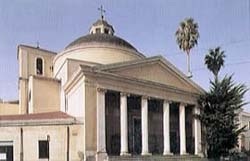 ...the Church of S. Francesco, which houses a magnificent 15th century wooden sculpture of the crucified Jesus Christ, Piazza Eleonora, with the marble monument built in 1881 and dedicated to Eleonora of Arborea, who lead Oristano and wrote the Carta de Logu, considered one of the first constitutions of the world. 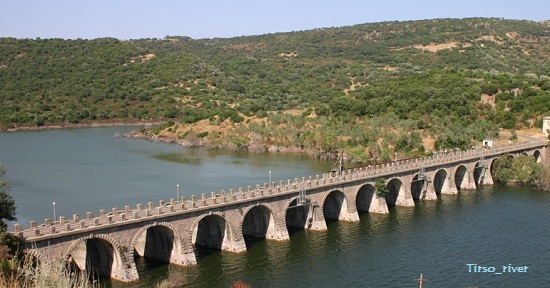 Other examples are the Mariano II Tower and the Antiquarium Arborense Museum. Near Oristano, going towards the bay past Cabras and its interesting Museo Civico, there is the 4th century church of S. Giovanni di Sinis in the homonymous village and the beautiful Tharros Archeological Site, an open-air museum filled with the remains of a town founded by the Phoenicians in the 8th century BC on a nuragic village. 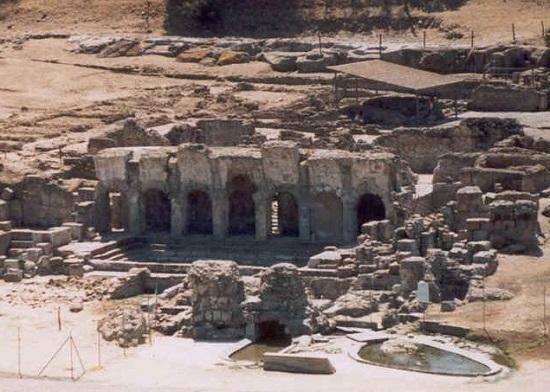 One of the most interesting buildings is the tophet, a characteristic sanctuary of the Phoenician-Punic civilization, the thermal baths, the temple foundations and a section with houses and workshops. 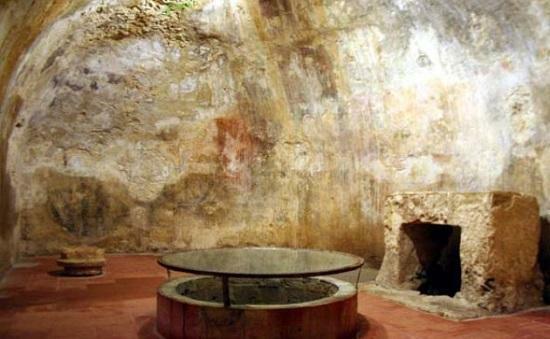 Not far from Tharros there is S. Salvatore, with the Hypogeum inside the Church of S. Salvatore, a pagan temple of nuragic origin linked to the cult of the water. Also noteworthy are the marvellous beaches of Is Autas, mainly made of small quartz grains, Mari Ermi and the spectacular cliffs of Su Tingiosu. a paradise for snorkeling and scuba diving, as well as to practice fishing tourism, an activity that allows the tourist to experience the life of the fishermen for a day. 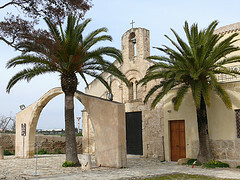 In the southern part of the province, south of Oristano, there are two interesting villages: S. Giusta, where one can admire the Phoenician and Roman remains in addition to the 12th century Romanesque cathedral, and Arborea, with the liberty and neo-gothic buildings; exhibited inside the town hall is the archeological civic collection, with Punic, Roman and medieval finds. 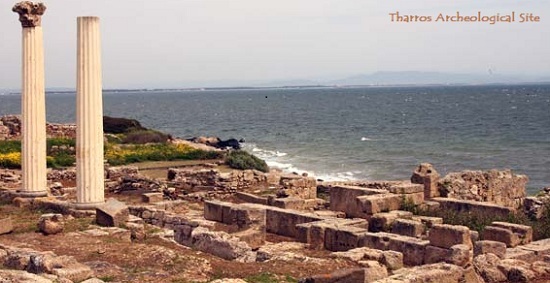 In the north-western part of the province, about 25 km from Oristano, there is Fordongianus, famous for the many prehistoric remains, as well as those from the Roman era (the aqueduct, the amphitheatre, a bridge and some buildings) such as the thermal baths. 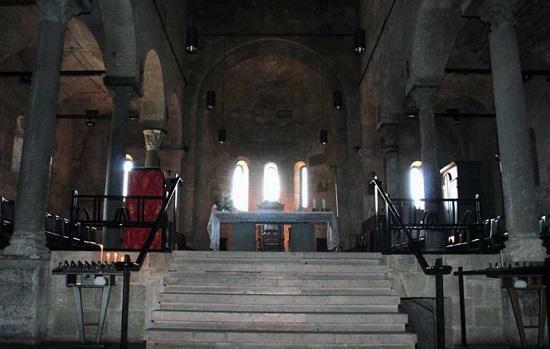 Just outside the village, there is the church of S. Lussorio, built in the 12th century on a Paleo-Christian hypogeum where, according to the traditions, S. Lussorio was buried after being martyred during the persecutions by the Roman emperor Diocleziano in 304. In the nearby town of Ghilarza there is the Antonio Gramsci House/Museum, where the intellectual and politician lived from 1898 to 1908. 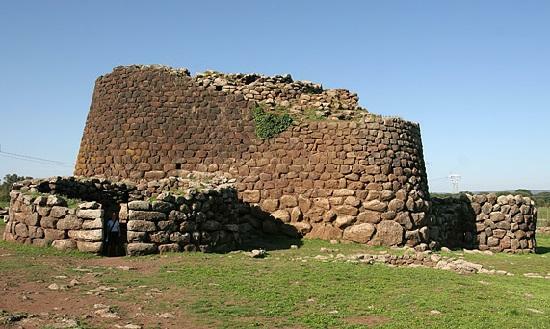 The area features also two of the island’s most important prehistoric monuments: the Nuraghe Losa complex (where ‘losa’ in Sardinian means tomb) and the S.Cristina Nuragic Sanctuary, with the famous sacred well. 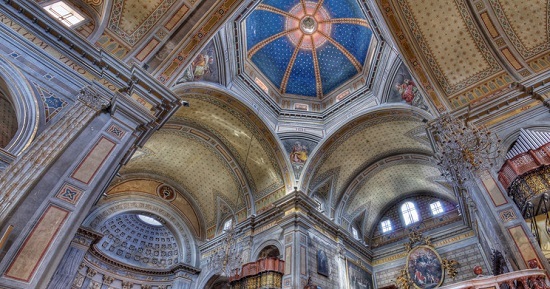 Lastly, in the north-western part of the province, there is Bosa and its monuments: among them, the Serravalle Castle, which contains the Church of Nostra Signora de Regnos Altos, the Cathedral of the Immaculate Conception, the Church of the Carmine and the Church of S. Pietro Extra Muros, just outside the town. 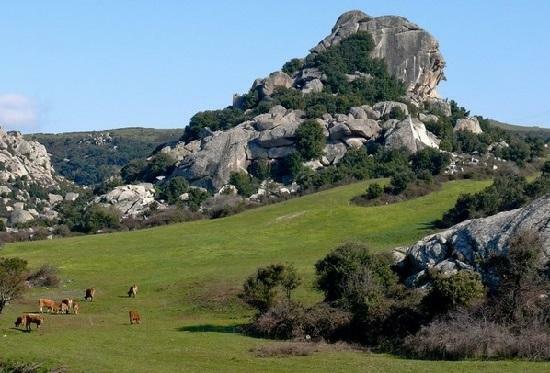 The Monte Arci Regional Park offers unforgettable landscapes ideal for trekking, mountain biking and horseback riding to discover the diverse flora and fauna of the area: large Holm oak woods and vast expanses of maquis are inhabited by wild boars, foxes, wild cats, pine martens and weasels. The Oristano province comprises over 6.000 hectares of wetlands, a perfect place for birdwatching enthusiasts where flamingos, purple herons, egrets, mallard ducks, purple swamphens and many other rare species breed. brings together fishing and agricultural components. There is a great request for the bottarga (salted, pressed and dried mullet eggs), tasted either sliced or grated on a plate of spaghetti. What is a Bottarga? 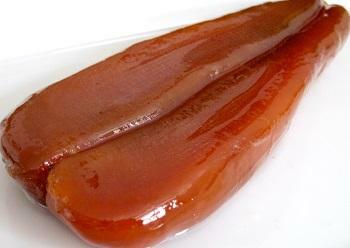 Bottargo is a Mediterranean delicacy of salted, cured fish roe, typically from grey mullet, tuna, or swordfish. Botargo is the roe pouch of grey mullet, or sometimes Atlantic bluefin tuna or swordfish. Sometimes called the caviar of the South, botargo is usually used sliced thinly or grated. 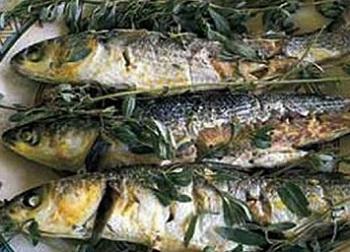 In Italy, it is best known in Sicilian and Sardinian cuisine; its culinary properties can be compared to those of dry anchovies, though it is much more expensive. Botargo is often served with lemon juice as an appetizer or used in pasta dishes. From the Cabras fish (seabrim, seabass and eel), prepared in several ways, to the merca, mullet boiled in salted water and wrapped in leaves. Among other delicacies, the bocconi (murex boiled in salted water), malloreddus all’oristanese (durum gnocchi served with spinach, beet, eggs and whip cream), myrtle hen (hen boiled with aromatic herbs and myrtle branches), su ghisau (a stew prepared with different types of meat), lamb and piglet. 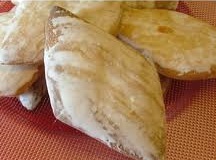 As desserts are concerned, one should not leave without having sampled the mustazzolus, biscuits made with concentrated must, flour, yeast and sugar: the shape is rhomboidal and they are glazed on the top; the zippole, a long, brandy- flavoured fritter typical of the Carnival period that can be found throughout the island. On the first Sunday of September in Marrubiu there is the honey, cheese, sausage and wine festival, a great way to learn about and sample the local products. Lastly, wines worth mentioned at least, are the Arborea, Vernaccia di Oristano (a world-famous wine), Nuragus, Vermentin, Sangiovese, Semidano, Moscato and Bovale. For those who love traditions, the area hosts a series of folk events and festivals throughout the year. Sedilo, on July 6-7 hosts the Ardia, a (dangerous) horse race to commemorate Constantine I, the Roman emperor who defeated Massenzio in 312 who had seized Rome, in the battle of Ponte Milvio. 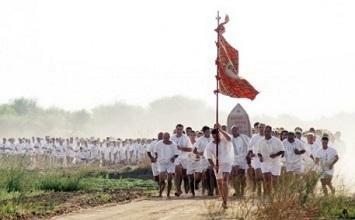 In S. Salvatore there is the traditional Corsa degli Scalzi, the Barefoot Race that gathers hundreds of people on the first Saturday of September dressed only with a white frock to take a wooden statue of Jesus Christ from the village of Cabras to the church of Cristo Salvatore. The Sartiglia is a unique and spectacular equestrian event of medieval origins. It takes place on the last Sunday and the last Tuesday of Carnival.